Unfortunately the issue of deregulation re-emerged on the ABC’s 7:30 Report in April 2016. Post election we don’t know what plans the Government has for Higher Education, however the Group of Eight has rejected ‘flagship courses‘. The saga continues and we will keep you posted. Check Follow us on Facebook for all the latest information. You could be forgiven for thinking that education was left largely untouched in Tuesday’s federal budget. In Joe Hockey’s speech, education was only mentioned twice and simply in terms of higher education as a valuable service export. Key crossbench senators will help Labor explore how universities can be helped without deregulating fees. The move comes as another university vice-chancellor broke ranks to express doubts over the merits of deregulation. Labor’s Kim Carr and crossbenchers Nick Xenophon, Jacqui Lambie and Ricky Muir intend to ask the Senate on Wednesday to set up another inquiry into higher education. They want to look at what alternatives there are to deregulation in order to maintain a sustainable higher education system. The support from senators Xenophon and Muir is significant because the government is wooing them as it makes a second attempt to pass its higher education reforms, including deregulating fees. Another university vice-chancellor has broken ranks with the sector to call for the Abbott government to abandon its plan to fully deregulate university fees. 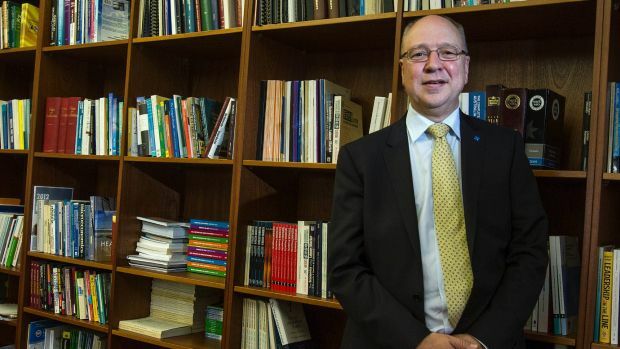 Peter Dawkins, the vice-chancellor of Victoria University, said the government should acknowledge that its deregulation plan will not pass the Senate and seek to pursue a “third way” between full deregulation and tight government control over fees. The government will reintroduce its higher education changes into Parliament this week, but has not secured support from the Senate crossbench for its plan to allow universities to set their own fees. 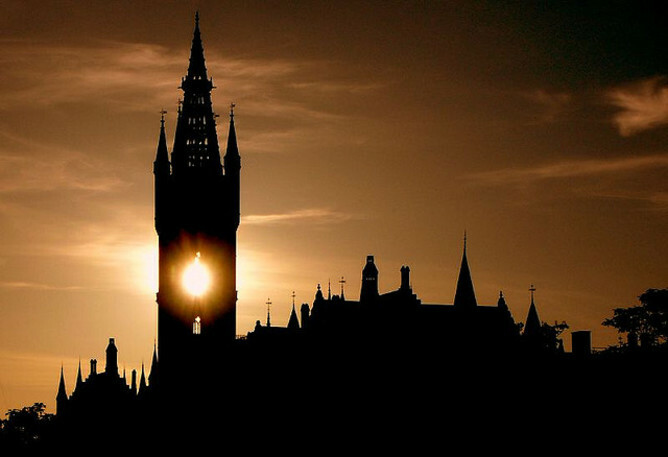 Hopes among university vice-chancellors of achieving fee deregulation have dimmed over recent weeks and the sector is focussing its lobbying efforts on avoiding cuts to major research funding programs. ‘Independent senator Nick Xenophon said on Wednesday that the government’s package was in “a whole lot of trouble” while the Palmer United Party’s Glenn Lazarus called on the government to abandon its policies and “move on”‘. NAPU Named in top 50 most influential people in Higher Education in 2014! It’s message is simple — universities are a public good so governments should fund them accordingly. Student debts are expected to double to over $50 billion in four years if the federal government achieves its goal of deregulating university fees and expanding federal funding. The Higher Education Loan Program (HELP), formerly known as HECS, will rise from $25 billion to $52 billion in 2018 according to the Mid-Year Economic and Fiscal Outlook (MYEFO), released on Monday. The government attributes the dramatic growth to students paying a greater share of their education costs and expanded access to student loans. 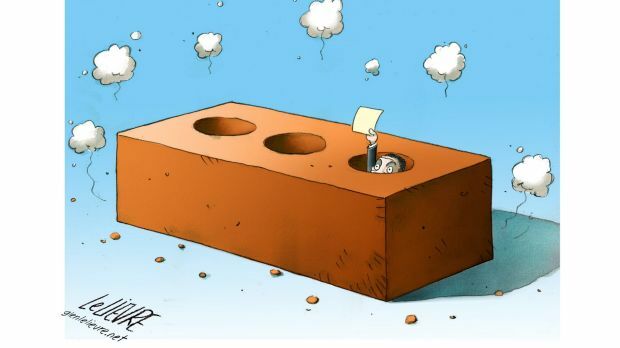 In its budget editorial “A modest but purposeful start”, Fairfax Media’s The Australian Financial Review lamented that Prime Minister Tony Abbott had been “boxed in” by his own election promises and could not cut deeper into government spending. The newspaper lauded the idea of deregulated university fees as “ground-breaking reforms of the higher education sector to promote excellence and much-needed competition among our universities”. There have been some cruel and stupid things said about Glenn Lazarus and Jacqui Lambie since they arrived in the Senate. 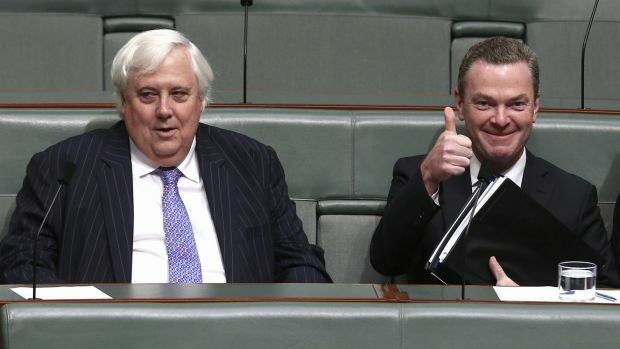 There’s probably been some hard words between them too, since Lambie opted out of Clive Palmer’s excellent adventure. But these two newbie Senators covered themselves in glory this week, speaking the plain truth about Viscount Christophe du Pyne’s scheme to turn Australia’s public universities into private businesses where only the monied elite may soon dare tread. It’s been a tumultuous week in Australian higher education. 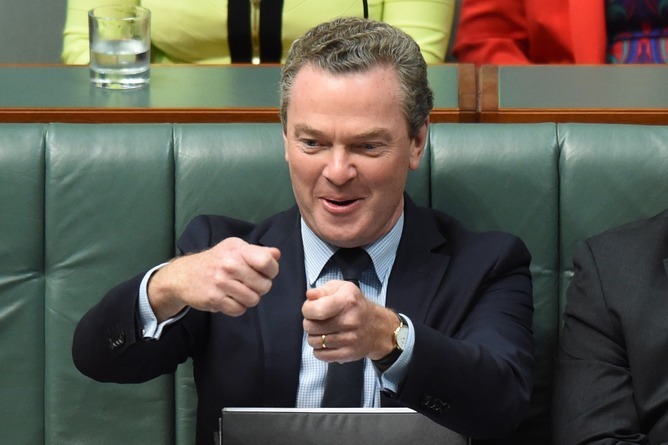 With the chaotic mismanagement that has become the hallmark of the Abbott government, education minister Christopher Pyne’s hugely controversial university reforms were voted down by the Senate. Even some aggressive text messaging couldn’t do the trick. Pyne wasted no time, immediately reintroducing the reform package to the lower house. 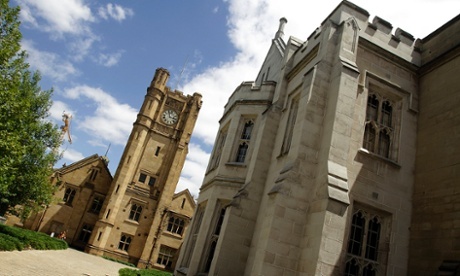 Australian universities, academics and students face further uncertainty. If the failure of the bill is a defeat for the Abbott government, it is also a humiliating blow to Australia’s top universities, and the lobby group that nominally represents them, Universities Australia (UA). 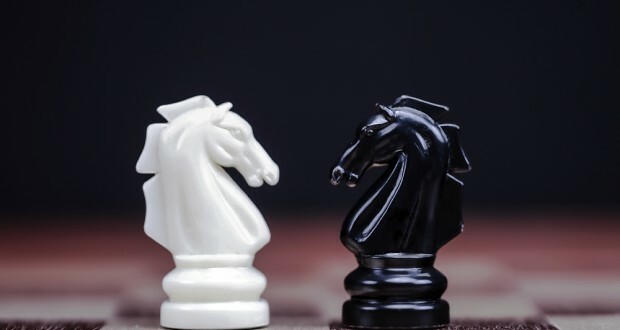 UNIVERSITIES Australia’s seemingly last ditch advertising campaign has highlighted the deep split between management and staff over the Abbott government’s plans to cut and deregulate the sector. In an open letter published yesterday in newspapers and an advertisement aired on Sky News, UA called on the Senate crossbenchers to pass the government’s higher education legislation complete with the peak group’s amendments. “Please seize the unique and privileged opportunity you have to shape a system that is fair for all,” the letter said. 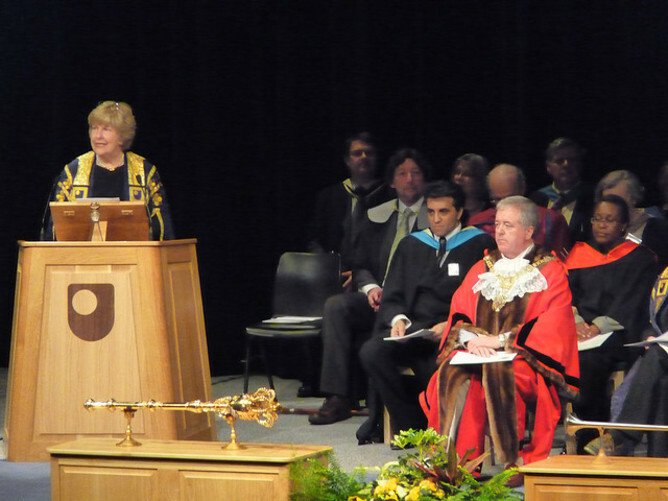 Almost all vice-chancellors are publicly supporting UA’s position, even if that support is sometimes lukewarm and driven by fears of stand-alone funding cuts if fee deregulation is blocked. But many university staffers oppose the changes, as evidenced by staunch opposition from the National Tertiary Education Union and new lobby group the National Alliance for Public Universities. When you actually do the maths, Christopher Pyne’s plan for the ‘Americanisation’ of Australian universities looks as shaky as it is expensive. Christopher Peterson explains. Do you believe in publicly funded education? The National Alliance for Public Universities (NAPU) was formed in response to the unprecedented attack being made on public universities by the Abbott Government, and the response has been phenomenal. 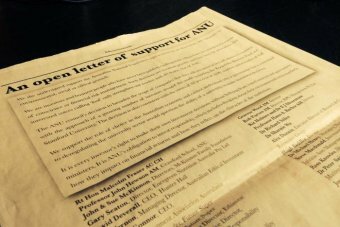 We spoke with NTEU member Ben Etherington about the formation of NAPU. What is NAPU? What prompted you to form NAPU? The National Alliance for Public Universities came together for two main reasons. Firstly, we were increasingly angry that Vice Chancellors and Universities Australia have been lobbying for fee deregulation as though they speak for the interests and values of university staff. We know that, overwhelmingly, staff across the country are entirely opposed to these proposals and that VCs are acting according to short-term corporate self-interest in the face of deep cuts. Secondly, we felt that – the good work of the NTEU aside – the campaign against deregulation has lacked both coordination and a positive vision of the alternative. There have been a lot of individual voices and groups within universities speaking out, and we wanted to give these an umbrella organisation within which to act so as to produce more force collectively. Instead of launching the group with a letter or petition, we decided to do something more comprehensive. 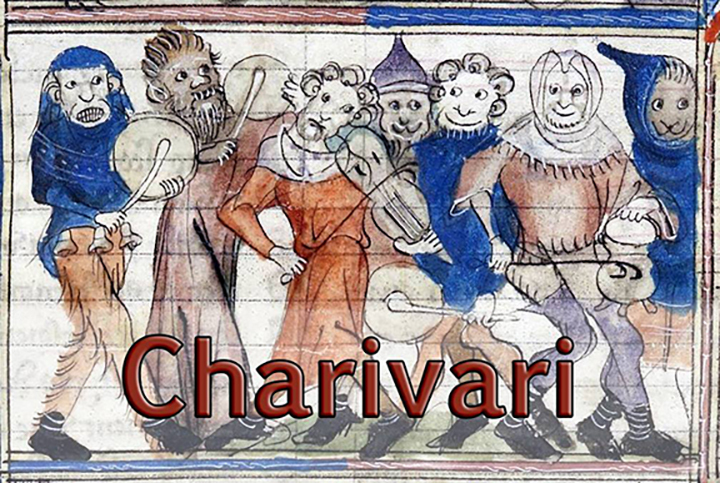 Over a few weeks, a group of us produced A Charter for Australia’s Public Universities (napuaustralia.org/charter). It outlines eight key principles that we believe underpin a coherent and healthy public university system. Each of these principles is given a supporting rationale. In April 2012, National Public Radio (NPR) in the US ran a story about student debt, announcing that American citizens owe over one trillion dollars in student loans. Is this the direction Australia wants to follow? According to Education Minister, Christopher Pyne, the answer is yes. Pyne has often stated that universities in Australia are on board when it comes to deregulation. This may be true for management, but not so for lecturers, tutors and researchers. Edith Cowan University in Joondalup. Education reforms are back in the Senate as the debate continues surrounding the deregulation of university fees. The government is proposing fee deregulation along with funding cuts to higher education and are waiting for the policy to be passed. Many vice chancellors around the country have showed their support for deregulation but Dr Ben Etherington, key member of the National Alliance for Public Universities (NAPU), says that they might not have any other choice. A Charter for Public Education and thrown his support behind NAPU in his blog. … last week the National Alliance for Public Universities was formed and has called for signatories to its charter. I was happy to join this cause at the weekend. I urge colleagues to visit the NAPU website and form a view whether they wish to become signatories; a matter which is entirely up to them; see https://napuaustralia.org/signatories/. Fortunately, academic and professional staff have found the motivation to stand up for the public university system, and I hope further signatures will come from the many successful scholars in Australia who have built their careers writing about social justice, equity and public policy. ONCE again, it seems, Whitlam has got his timing right. 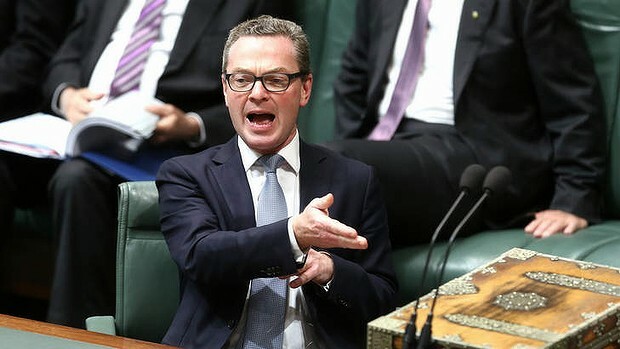 Just as one of his signal achievements is about to be dissolved entirely, he expires: a martyrdom for free universal university education; a kamikaze PR stunt to expose the individualist ethos of the Pyne reforms. And this week witnessed one of the unlikeliest transmigrations of the soul: Clive Palmer declaring on Tuesday that Australia should restore free universal tertiary education. The nostalgia for the short era of free university education brought on by Whitlam’s death hides a deeper amnesia about what was once a bipartisan consensus on the importance of public universities. And as we’ve been reminded during the past week or so, Whitlam saw his reforms as a continuation of the Menzies program of expansion. Both he and Menzies acted on a clear understanding of the responsibilities and benefits of public universities. They are spaces of public scholarship in which claims to expertise can be tested transparently and made available for the good of the entire society. University vice-chancellors, whose eyes are on the bottom line, support a free market for education. But George Morgan, a founding member of the National Alliance for the Public University, says this does not mean universities themselves are in favour. The National Alliance for Public Universities (NAPU) was launched earlier today, and when I last checked, had attracted 854 likes on Facebook. Established by university staff in opposition to the unprecedented attacks on public universities by the Abbott Government, the founders want to give more voice to staff to counter the hegemony of the neo-liberal, corporate university discourse. At this critical time, we need a plethora of voices speaking out knowledgably and passionately for the purpose and role of public universities working for the public good. Speak now on university de-regulation, or forever hold your peace and your debt. Nick Riemer explains. Insanity isn’t one of the obvious traits of the tiny coterie of Australian Vice-Chancellors. But given the broader political context, VCs’ support for university fee deregulation, before the Senate this week, is pure madness. Clive Palmer has declared “bye bye” to the Federal Government’s university overhaul, saying his party will vote against the measures. But Labor and the Greens are against the change, leaving Education Minister Christopher Pyne to negotiate with the Senate crossbench. 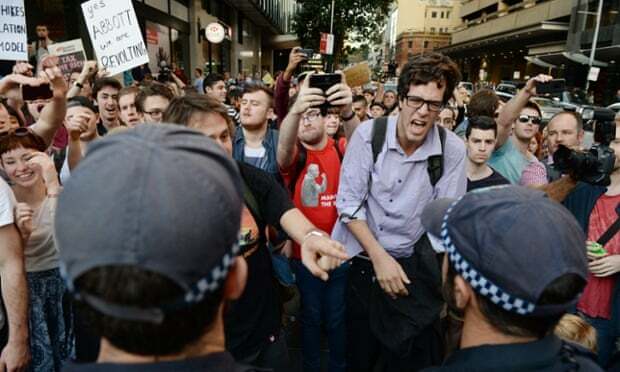 Are Australian students not escalating protest because they don’t know how bad their situation will be? Perhaps they don’t realise how influential they can be. Last week, the peak lobby group for Australian higher education, Universities Australia, told a Senate committee that it now supported the funding cuts and tertiary fee hikes proposed by the Abbott Coalition government in its as-yet-blocked May budget. “The sector has looked carefully and closely at the government’s proposals, and come to the consensus view that fee deregulation is the next logical step in higher education policy, and should not be opposed”. 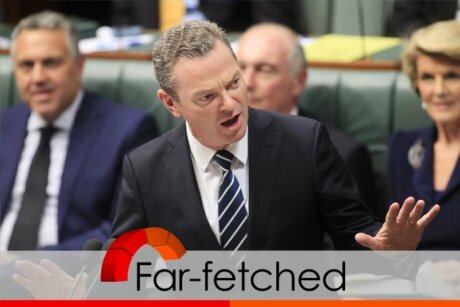 The electorate have expressed hostility to the proposals, and education minister Christopher Pyne is deeply unpopular. A recent Essential poll found that 66% of those surveyed were against the changes; for 18-24 year olds it was a whopping 77%. 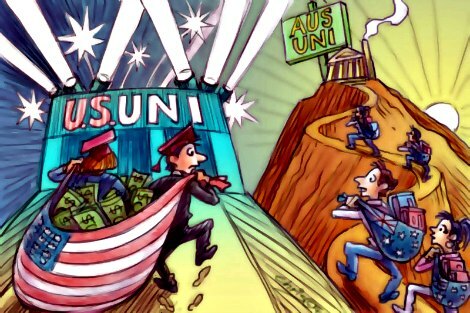 Dozens of Australian investors and business people have written an open letter in support of the Australian National University’s (ANU) decision to end investment in mining companies. It came as Prime Minister Tony Abbott labelled the ANU’s move a “stupid decision”. The Federal Government previously criticised the ANU for selling off $16 million worth of shares across seven companies due to what the university said was social responsibility reasons. The reputation of Australian universities is on the rise but there are fears that deregulation of fees could threaten the depth of the nation’s education system. Australia increased its representation in the 2014-15 Times Higher Education World University rankings released on Wednesday, with most of the nation’s top institutions improving their standings on last year. The Australian public, not individuals, profits most from higher education but students shoulder most of the cost, according to international figures that undermine the government’s claim that students should pay more because they benefit most. The public rate of return from tertiary education in Australia is twice the rate of return to the individual, a Fairfax Media analysis of figures from the Organisation for Economic Co-operation and Development shows. The data measures the return on investment based on taxes and other financial benefits. An average female undergraduate who wants to be a teacher in Australia could quickly find herself graduating with debts of $50,000 or more, according to University of Canberra Vice-Chancellor Stephen Parker. Professor Parker, who has been an outspoken critic of the federal government’s plans to deregulate university fees, has written submission to the Senate Standing Committee on Education and Employment in which he tones down his rhetoric in the interest of presenting a short and stark warning,of the damage these reforms could do to Australia. 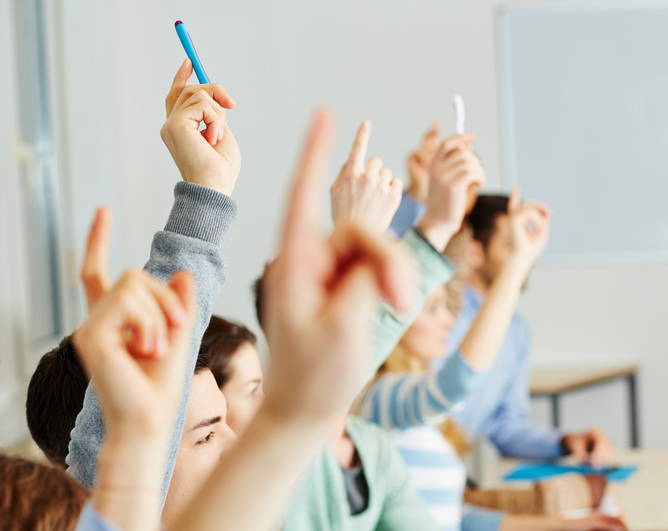 The National Tertiary Education Union’s (NTEU) submission to Senate Education and Employment’s Committee’s Inquiry into the Higher Education and Research Reform Amendment (HERRA) Bill 2014 calls for the whole Bill to be rejected. The submission shows that the Abbott Coalition government’s proposed policies have nothing to do with reforming Australian higher education and setting our universities free to offer internationally competitive teaching, research and community engagement, but has everything to do with achieving large cuts to public investment in our universities and their students no matter what the consequences. The University of WA says it will charge nearly $50,000 for a three-year undergraduate degree in a deregulated higher education market. Based on legislation before the Federal Senate, UWA would set an annual fee of $16,000 for domestic full-time students enrolled in its five undergraduate degree courses from 2016. Fact check: Will Australian universities ‘slide into mediocrity’ without reform? The Government claims allowing Australian universities to charge students unregulated fees will keep them internationally competitive. It has issued dire warnings about what may befall the universities if the current funding system remains. “The situation in Australia is such that we cannot have no reform to our universities or they will slide into mediocrity, be overtaken by our Asian competitors,” Education Minister Christopher Pyne told Network Ten’s The Bolt Report on August 24. ABC Fact Check examines how Australian universities are tracking against their international competitors. A showdown at the University of Sydney last night saw overwhelming opposition to higher education reforms. Max Chalmers reports. 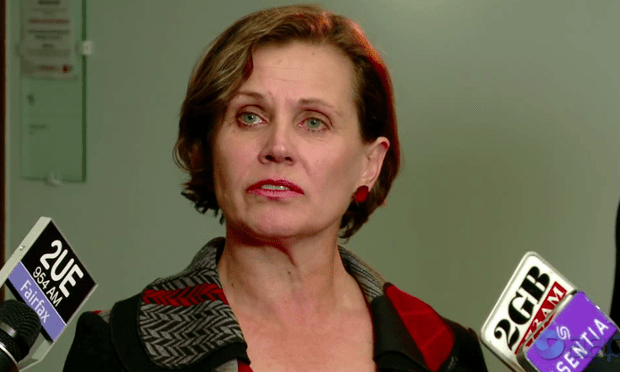 A rare public forum at the University of Sydney has seen a host of voices speak out against the Coalition’s plans to deregulate the university sector, heaping further pressure on a group of vice-chancellors championing the changes. VICE-CHANCELLORS will ­arrive in Canberra today to urge Education Minister Christopher Pyne to push ahead with plans to deregulate tuition fees but will make their support conditional on a raft of changes, including a ­rethink of proposals to impose sharply higher interest rates on student loans. While students and unions are building their opposition to the reforms, the university heads have also reacted angrily to weekend revelations that the government will grab savings from university research budgets if it does not get its reforms through the Senate. 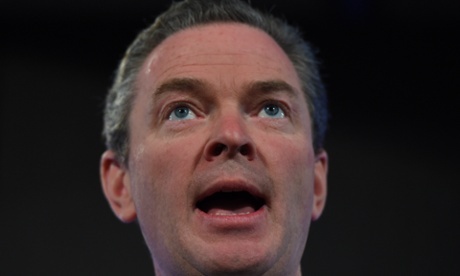 FEDERAL parliament sits next week and on the menu is Christopher Pyne’s reform package for higher education. There will be a debate, but from the perspective of many who care about universities, it will be a pseudo-debate. It will concern not the framework of policy, but the mode of distribution of resources within a conception of higher education provision on which the two major parties have long been in agreement. A free movie theater. A 25 person hot tub and spa with a lazy river and whirlpool. A leisure pool with biometric hand scanners for secure entry. A 50 foot climbing wall to make exercise interesting. And a top-of-the-line steak restaurant with free five course meals. This isn’t a list of items from a resort brochure. They’re facilities you can find on a college campus. And with college construction costs rising, it could be the best four-year getaway you’ve ever had. Crossbench senators with an ear to popular opinion could become even less co-operative when university cuts come before them, with new polling showing the Coalition’s changes are poison in voter-land. Extensive automated phone polling across 23 federal electorates taking in all states has found cuts in federal funding and changes to allow increased fees, higher loan charges, and access to limited federal funding by non-university course providers, have not gone over well with households. Leading economists have rejected the federal government’s claims of a ”budget emergency”, saying it is only a medium-term “problem” rather than a crisis, which should be dealt with sooner rather than later. The economists who took part in BusinessDay’s midyear economic survey also rejected the notion of a “debt crisis”. One said it was an abuse of the language to apply the term to Australia. A team of mathematicians have modelled the effect deregulation will have on the cost of various degrees. Using their calculator you can compare the cost before and after the Government’s proposed changes, and see the modelling behind the calculations here. There is growing concern about inequality, and rightly so. 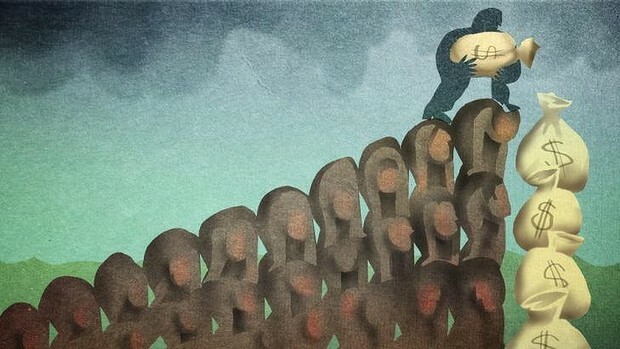 There is growing inequality in most countries – marked increases in some, with more and more of each nation’s income going to the top, more people in poverty, and a hollowing out of the middle class. But the fact that there is so much more inequality in some countries than others means that the degree of inequality is not just a matter of economics; it is the result of policies and politics. Each confronts the same laws of economics, the same global economic forces; but how they respond differs markedly. ‘The support for deregulation of higher education in Australia by the major universities bosses is outrageous, writes Nick Riemer. Any serious discussion of university funding and this year’s budget must recognise a simple fact: nothing good for higher education can come of the reforms Joe Hockey announced on May 13’. 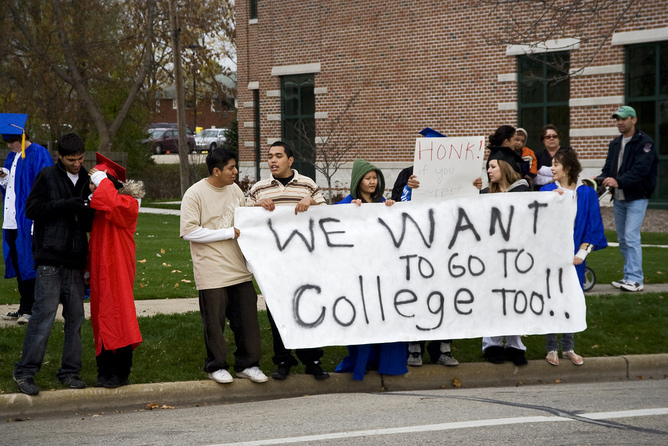 ‘The US system of higher education, while lauded as a model to be emulated by the Australian government, is facing harsh criticism on home soil. With up to US$1 trillion in student debt owed to the government and graduates facing debts they cannot repay, calls are being made to fix a system that isn’t working’. ‘STAFF at the University of Western Sydney remain concerned about course affordability despite the university taking steps to freeze fees in the face of impending deregulation’.